Currently the intersection of Adams Street and Michigan Avenue is marked as the starting point, however, Route 66 never actually departed from there. 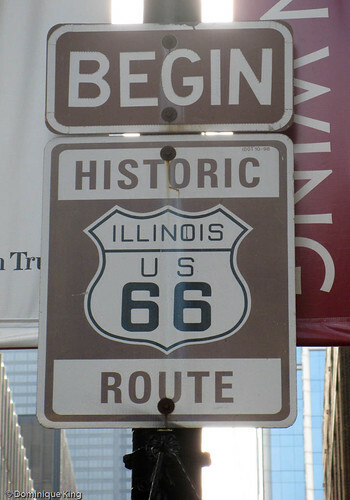 The starting point has changed a few times over the years, however, there is no disputing the fact that Chicago is the home to the starting point of Route 66. Route 66 originally started at Jackson Boulevard and Michigan Avenue. In 1933 the starting point moved to Jackson Boulevard and Lake Shore Drive. Jackson Boulevard turned into a one way street heading East in 1955, so Adams Street and Michigan Avenue was named the new starting point.